In Whistler, it’s all about who you know... To that end, I’m pleased to make the following recommendations to ensure your Whistler experience is second-to-none. As they say... Locals know best! Don’t miss the vodka ice room! You can also try your hand at sabering a bottle of champagne under the expert guidance of world-champion saber master and Barefoot founder Andre Saint-Jacques. While you're there, take a tour of his private underground cellar boasting over 16,000 bottles of wine from around the world. Whistler’s preeminent fine dining experience. Grab a table at Araxi's outside bar for their daily 'Oyster Apres' when you're finished on the hill. Enjoy an exceptional selection of craft beers produced in-house by legendary brew master Derrick Franche -- And try the lettuce wraps -- seriously. A Whistler institution, Sushi Village is a must-see for any sushi aficionado. Owners Mikito Homma, Koji Shimizu, and Toshi Saito founded Sushi Village in 1984 and the good times have ‘rolled’ ever since! If you’re looking for a true taste of local life, stop by ‘El Furney’ and brush shoulders with world-renowned pro athletes sipping cold beers next to international visitors. Everything on the menu is $5. Not kidding. One of Canada’s finest hotel experiences, The Four Seasons Whistler is nestled at the base of Blackcomb mountain and offers a level of service that’s second-to-none. I love the Adara! One of Whistler’s newest boutique hotel experiences, The Adara is in the heart of all that Whistler Village has to offer. General Manager Bob Simpson is a consummate host – Tell him I sent you! Arguably Whistler’s most famous hotel, ‘The Chateaux’ has hosted everyone from celebrities to international delegations, with class and style. If you're in town during the off-season, don’t miss ‘Fairmont Fridays’ – an opportunity to rub shoulders with Whister’s whos-who every Friday from about 5pm. The Crystal is my pick for a balance of amenities, convenience, and excellent value. Situated right on the village stroll, and literally right on top of Whistler’s main shopping strip, The Crystal Lodge puts you in the heart of the village ‘vibe’. If you’re in town for skiing, you can’t beat the Westin. Situated right at the base of the Whistler Village gondola, The Westin is known for exceptional service, quality, and convenience. 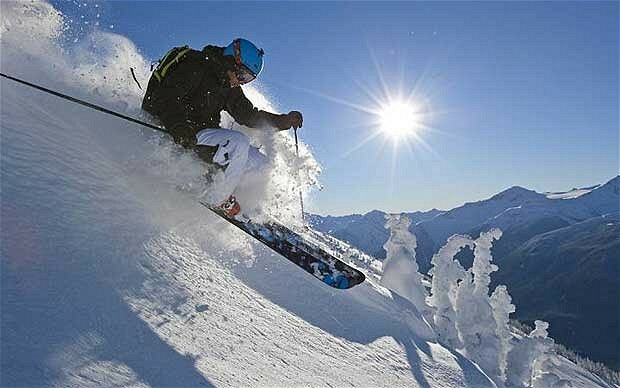 Whistler Blackcomb is North America’s largest ski resort. But that part is easy... With over 40 years of evolution under our belt, the resort has also become a cultural mecca for the snow sports industry, playing host to dozens of annual competitive events, snow sport festivals, and trade shows. If skiing and snowboarding is your thing, there’s no place like home… in Whistler. Now, if I may make a recommendation… In 2015 I joined The Mountain Club – a private members-only ski club located in the Westin Resort and Spa. The club offers incredible amenities like private ski storage, members-only locker room, access to the Westin pool and gym facilities, and preferred pricing at several restaurants, lounges, and clubs. If you’re an avid skier or snowboarder, a membership at The Mountain Club will elevate your experience to new heights! I would be pleased to make a personal introduction for you with the club manager if you wish. Whistler also offers an incredible array of outdoor pursuits to keep us occupied until the snow returns to the valley! I’m an avid mountain biker, both downhill and cross-country, and I spend a ton of time on the lake as well. Whistler offers endless opportunities for adventure and I’d love to chat with you about some of the secret spots I’ve discovered over the years. Let’s have some fun! If you’re still standing after a day on the hill, hot tubbing, and dinner, Whistler offers a diverse and colorful array of options when it comes to late night pursuits. I have contacts at many of Whistler’s most sought-after venues and would be happy to help you organize a VIP experience for you and your group. Just ask! Let’s start with sabering some champagne at The Bearfoot, and then see where the night takes us!